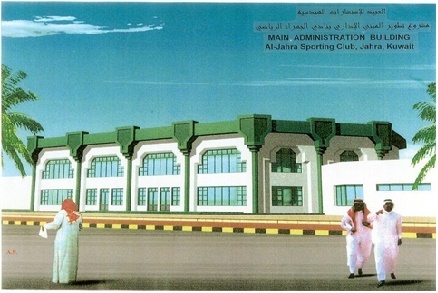 Renovation of the old main administration building of Al-Jahra Sporting Club. The renovation of the building includes the establishment of an office area for the usage of the committees affiliated to the Kuwait Awqaf Public Foundation. It also includes multi-purpose training rooms (computer, languages,etc.) as well as a wedding hall in the first floor.